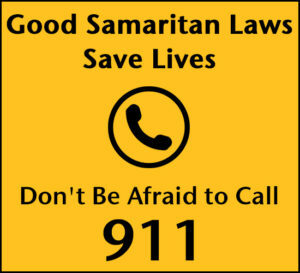 e caller AND the person needing medical assistance are immune from prosecution. The law wants to encourage underage drinkers to get medical help from a friend without fearing that the caller will get him or herself into trouble. The law, officially called “Safe Harbor,” is found at 18 Pa.C.S.A. 6308.1. The Safe Harbor protections are limited to Underage Drinking or Possession of Alcohol by a Minor charges under 18 Pa.C.S. 6308. Other alcohol-related criminal charges, such as a summary offense of Public Drunkenness or a misdemeanor offense of Furnishing Alcohol to Minor, can still be filed by the police. If the police respond to the call for assistance and see marijuana, controlled substances, or drug paraphernalia in plain view, misdemeanor possession charges for possession or felony offenses for Possession With Intent to Deliver can, and normally will be, filed. While the caller may not be charged with a summary offense of Underage Drinking, the immunity protection does not prevent the filing of other criminal charges. While the immunity from prosecution law is clear in what is required for immunity to apply, there will be cases in which an officer does not believe that the protections apply, so an Underage Drinking charge is filed. Some officers are not familiar with the change in the law, and some officers may believe that the person charged is not eligible for the Safe Harbor protections. Whether or not the protections apply must sometimes be determined by a judge. In January of 2019, State College defense attorney Jason S. Dunkle successfully argued his first Safe Harbor case. The judge agreed with Attorney Dunkle’s argument that Safe Harbor applied to the situation and thereby found the Penn State student not guilty. Any person charged with Underage Drinking or other criminal offense should consult with an experienced criminal defense attorney. Attorney Dunkle has been representing people charged with criminal offenses since 2004 and offers free consultations. JD Law is located in downtown State College, so within walking distance of the University Park Campus of Penn State University. Submit a request online or call the office at 814-954-7622 to schedule a case review.